The Best Place to Get a Facial in South Australia! Last Wednesday, I was lucky enough to have the opportunity to be pampered by organic skincare brand Y Natural at their head office and skincare clinic in Glenelg. After months of stress and minor health problems, my skin had really taken a hit. I was definitely due for some deep cleaning and pampering! I had an absolutely amazing experience and I wanted to share it with you because I think that everyone deserves to have a pamper day in a relaxing atmosphere where you can just sit back and let the magic happen! This would make for a great present for a loved one for a special occasion! All of the products at Y Natural are organic, vegan and cruelty-free, which is fantastic and is fantastic for your skin. 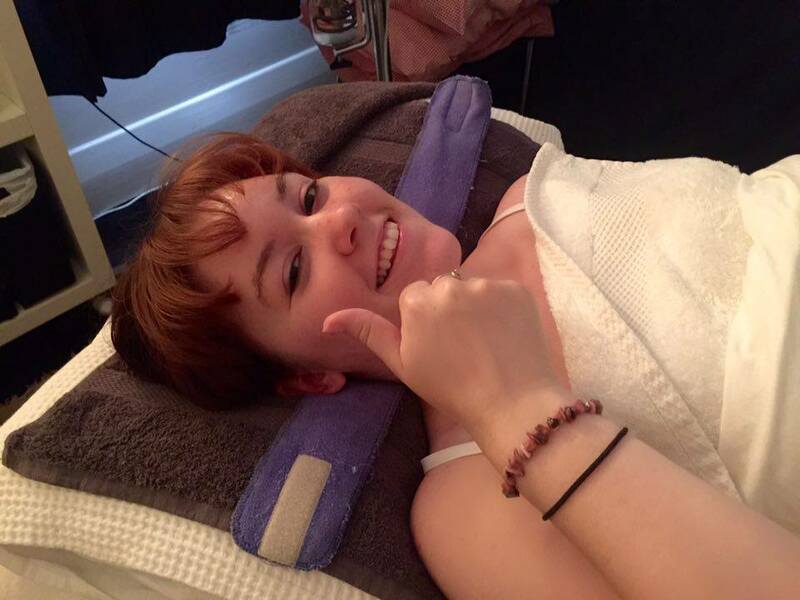 I’d been booked in to have an hour-long facial from Celia, who was super friendly and made me feel very comfortable. My mum came in while I was having my facial and took a few pictures on her phone so anything you see here is from my personal photographer and Blog Momager, Margot hahaha. This was me, all hot and bothered on a 40+ degree day, so ready to get my facial. The first step of my facial was to cleanse my skin of any nasty things that I had in there from skincare products that contain nasty chemicals or from any dirt in my skin. For this step, Celia used the 102 CLEAN, which is a foaming cleanser. This product is really great for oily skin or skin that is prone to break outs, which is exactly what my skin is. This product contains Lavender and Rosalina that provide mildly astringent and antiseptic benefits. The second step of the facial was exfoliation. For this step, Celia used the 200 BUFF, which is a skin polish. This product is suited to all skin types and can be used once or twice per week to exfoliate, detoxify, purify and vitalise the skin. This product contains Cypress, Nettle and Cedarwood Atlas for smoothing and balancing skin for glowing, healthy looking skin. This exfoliator doesn’t use those nasty synthetic microbeads that are ruining our environment. This product uses brown seaweed extract to help exfoliate the face. If you want to read a bit more information on this exfoliater, check out this page from the Y Natural website! You apply this product to dry skin and apply a little bit of water to your finger tips and massage it gently into the skin. I absolutely love this product especially because it was super gentle on my skin. The third step of the facial was to moisturise. For this step, Celia used the 403 REFINE skin conditioner. This product is for oily/acne prone skin and is 100% free of alcohol and acetone that can be damaging to the skin. This product is clarifying, soothing and has balancing benefits. Rosalina, Niaouli and Lemon Scented Tea Tree give gently antibacterial, antiseptic and astringent benefits. The fourth step of the facial was a facial massage. For this step, Celia used 603 BALANCE, which is organic Jojoba. Jojoba looks and feels like an oil, but is actually a wax that is liquid at room temperature. Very few people react badly to jojoba because it has a similar composition to the skin’s sebum. This product is a great alternative to moisturiser and a great way to remove waterproof or stubborn makeup. This was my favourite part of the facial because I usually hate having oil-type substances on my skin because I just hate my skin feeling greasy, which is unfortunate for me being oily/combination skinned. This product didn’t feel greasy at all while it was on my skin and while it was being massaged into my skin, I was very very relaxed and almost fell asleep! 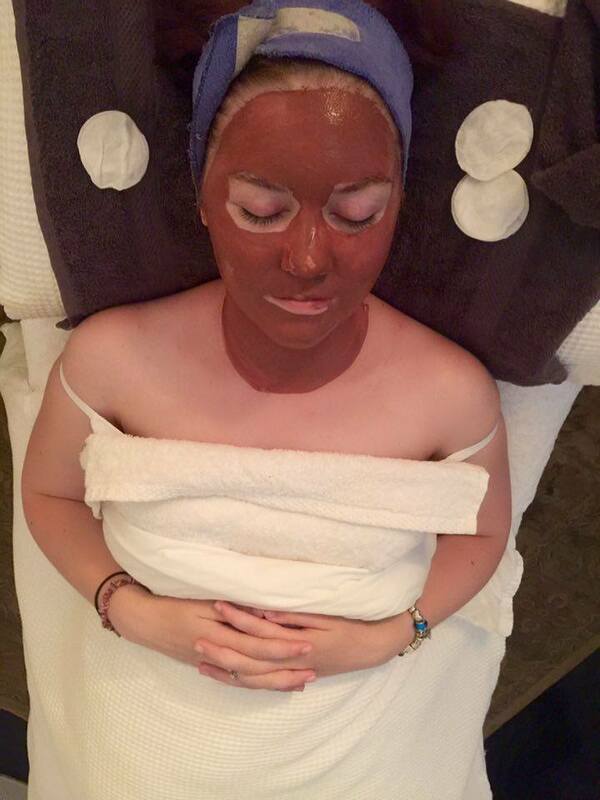 The fifth step of the facial was a mask. For this step, Celia used 301 GENTLE, which is a Rose Otto and Hibiscus clay mask. This mask is suited to dry, mature and dehydrated skins. I have dehydrated skin from over cleansing but I don’t think that’s why Celia used this mask on me. I think she wanted me to try the Rose Otto, which is a very luxurious product. The mask contains Bulgarian Rose Otto, Chamomile, Sandalwood, Frankincense and Gotu Kola to soothe, strengthen and rejuvenate for fresh, velvety skin. The sixth step of the facial was an anti age serum. For this step, Celia used 600 SMOOTH, which was made for normal, dry and mature skins. My Mum uses this product regularly and really loves it. This product makes the skin feel a little bit tighter and tingly. This product has Bulgarian Rose Otto and extract of Hibiscus esculentus. This product helps to improve collagen formation, naturally, and helps to reduce the appearance of wrinkles and fine lines. The seventh step of the facial was a moisturiser. For this step, Celia used 502 HYDRATE, which is an antioxidant moisturiser. This product is suited to normal, oily and combination skins. This product lightly moisturises, revitalises, soothes and balances the skin. Cypress, Bergamot and Rosewood are used for gentle astringency and antibacterial qualities for a clear complexion. The eighth step of the facial was a hand and body moisturiser. For this step, Celia used 700 SOFT. She massaged this product all over my arms and into my hands. Then she shook my hand and placed it back on my stomach and it felt like my hand went to sleep haha. This product is suited to all skin types and it contains Bulgarian Rose Otto, Grapefruit Pink and Cocoa Butter. I felt incredibly pampered and so relaxed after the facial. I also noticed that the next day when I applied my makeup, it applied flawlessly, more so than usual! I definitely recommend coming to Y Natural to get a facial and picking up some of the amazing and luxurious product. Your skin will thank you for it! I receive a few products to keep using at home and I will probably come by and pick up a few more of the products. The managing director, Barbara Gare, told me what she recommend for me for when I’m travelling about the place. I feel very fortunate to have been able to having this experience with such luxurious products. I’d encourage everyone to have a look at their website and have a look at the Ingredients To Avoid section because it was very interesting and very informative. « Review: Savvy Lipstick Kit!